Whether you ask for a Devonshire Tea, a Cream Tea, or scones, jam and cream, it purely depends on where you are. The name ‘Devonshire Tea’ originated in the county of Devon in England where it is a local specialty, but it’s still a contentious issue as both Cornwall and Devon are trying to claim a right to the title. Both counties have their regional differences on how a scone should be dressed and eaten, and I’ve witnessed both versions in Australia as well. In Devon the method is to split the scone in two, cover each half with clotted cream (silky yellow cream), and then add strawberry jam on top. Whipped cream and any other jam flavour is not usually acceptable and milk should be taken in your tea. However in Cornwall, which seems to be the Australian way (99.9%), scones are split in two, then spread with jam and topped with clotted cream. In Australia most people recognise the term ‘Devonshire Tea’ but still many will stare blankly until you revert to asking for scones. Depending on the cafe, you’ll find either one or the other on the menu and rarely the serving comes with butter. Another rarity is clotted cream. I have found only a handful of cafes serving a form of clotted cream, it’s either freshly whipped, sickly whipped cream straight out of a can, or double thick dollop cream. There are no hard rules regarding jam flavours, and in some areas, if you’re lucky, you’ll get homemade jam from seasonal fruit. A final point is the confusion over the Devonshire Tea/High Tea scenario. Some people still think that they are the same thing, but the only commonalities they have are the scones and the tea. So if you are sifting through these pages and wondering why you only find scones, there’s your answer! This is what Wikipedia says about Cornwell. 🙂 I thought it would explain it better than I! It’s CORNWALL, not CORNWELL, big LOL. I recently saw an episode of a Mary Berry cooking show in which she interviewed the Duke of Devon and his young family. The Duke was adamant that scones should firstly have a layer of (clotted) cream followed by jam. That is the real Devonshire Tea and it makes sense. Clotted cream is the consistency of butter and it makes sense to spread it before the lighter consistency of fruit jam. Yes, I know, in Australia we eat scones like the Cornish and there is no such thing as a Devonshire Tea. I’ve been reprimanded several times. I have lived in the UK and am well aware of this. Yes it definitely makes sense to spread clotted cream first as it’s impossible to get it onto the jam. Clotted cream (unfortunately) is rare in Australia so I guess we don’t have this problem, imagine trying to lather jam onto airy whipped cream – it would be a disaster! 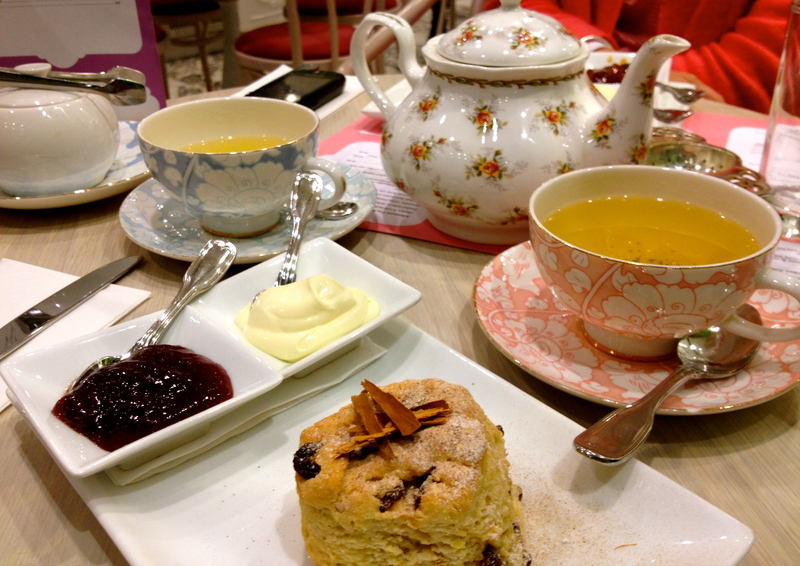 However, in Australia I found that we mainly call the scone, jam and cream ensemble a Devonshire Tea. I think I should try and change the name of my hobby to simply “scones, jam and cream”, it’ll make it easier all round. Thanks John for your feedback.